Set back and beyond the gravel driveway, Maison Talbooth looks out across Constable’s Countryside and the Dedham Vale. On arrival you’ll be greeted with a friendly welcome, you’ll be helped with your bags and you’ll be invited to simply make yourself at home. On entering through the front door, the light and relaxed lounge will lead you through to the Garden Room, which opens fully to the outdoor terrace. The terrace looks out across the lush green lawns which lead to the outdoor pool heated for winter swimming, outdoor hot tub and beautifully designed pool house with a fully-stocked honesty bar, Sky HD, robes and towels. 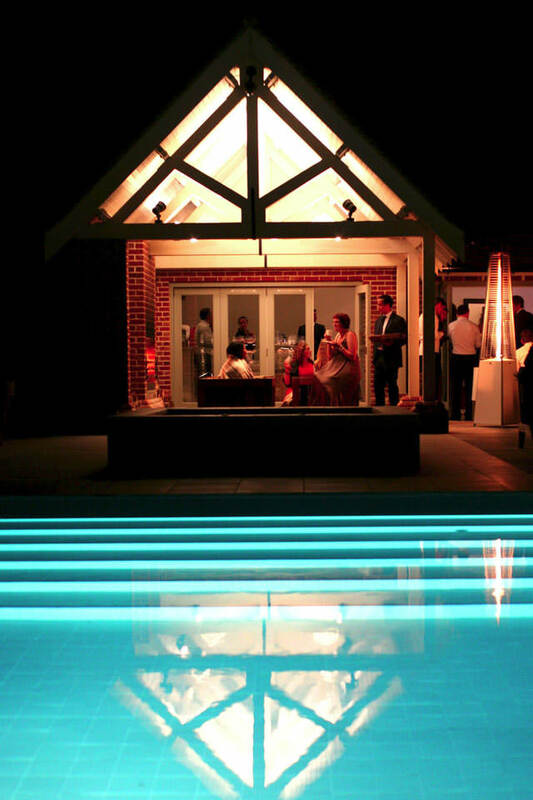 The Pool House also includes an open log fire where you can enjoy a glass of champagne curled up on one of the sofas. If you would like a little more activity, we have an excellent tennis court that overlooks the pool and the fantastic countryside views. 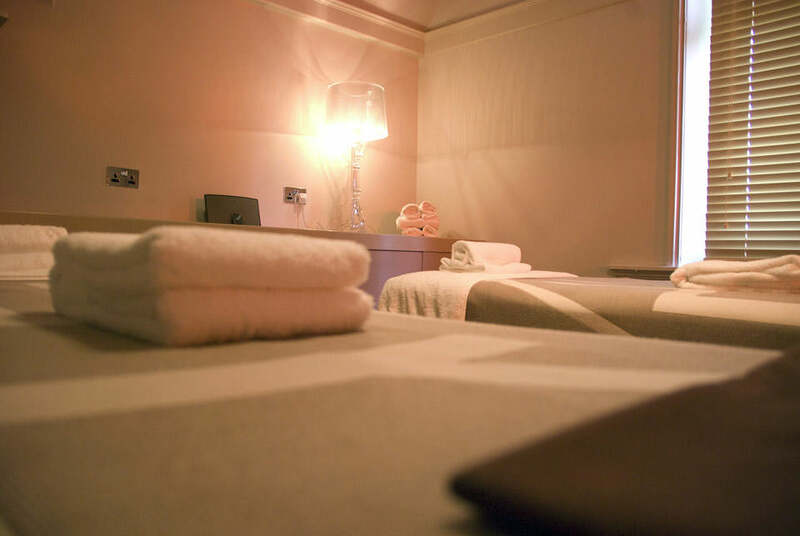 The Treatment Rooms is our in-house spa, providing a quiet and relaxed environment perfect for being pampered in. Choose your favourite treatment or join us as part of a spa package to enjoy the full facilities, including heated outdoor pool, hot tub and tennis court. 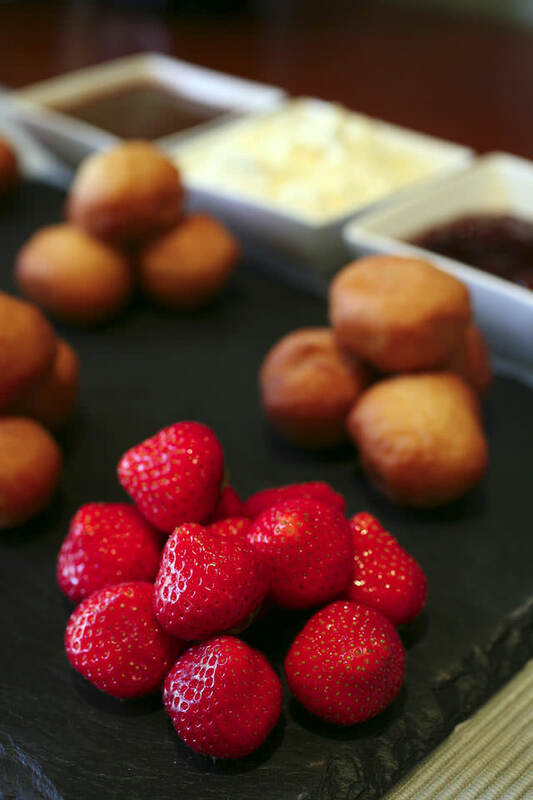 Breakfast, lunch and our famous afternoon teas are served in the Garden Room (or lounge for tea) and on the terrace. For evening meals or alternative dining throughout the day, Le Talbooth is our riverside restaurant serving outstanding food with outstanding service just a few minutes away in our courtesy Range Rover. 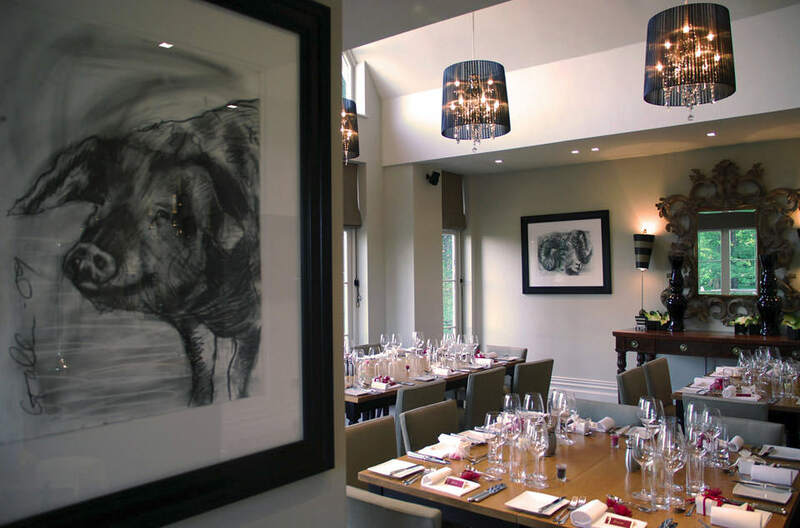 Milsoms is closely located, open all day for dining and has a more informal menu within a contemporary and newly refurbished interior. The perfect setting for breakfast or a light lunch. With a high vaulted roof and huge windows, the Garden Room also enjoys far-reaching views over the Dedham Vale. 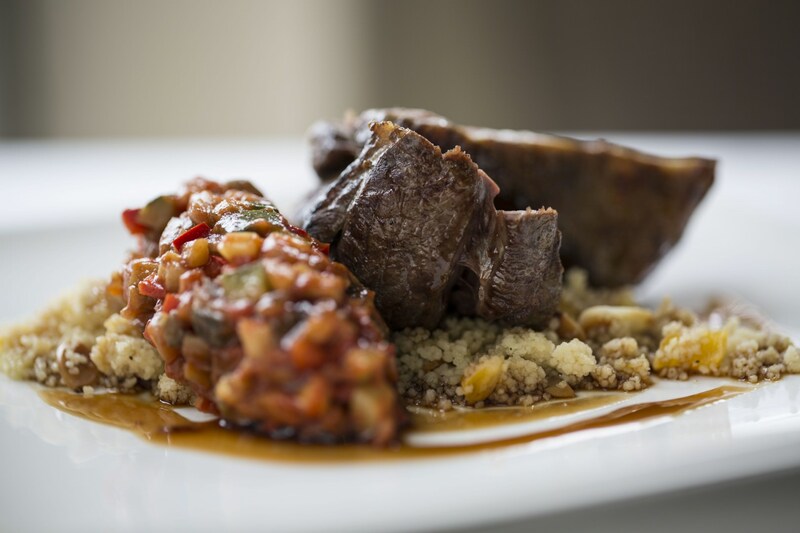 Award-winning restaurant in Essex, located in the heart of Constable Country. Just two minutes from Maison Talbooth in our courtesy Range Rover. Whether you’ve been exploring the surrounding countryside or simply spent the day unwinding at the hotel, our outdoor hot tub is perfect for a relaxing soak. 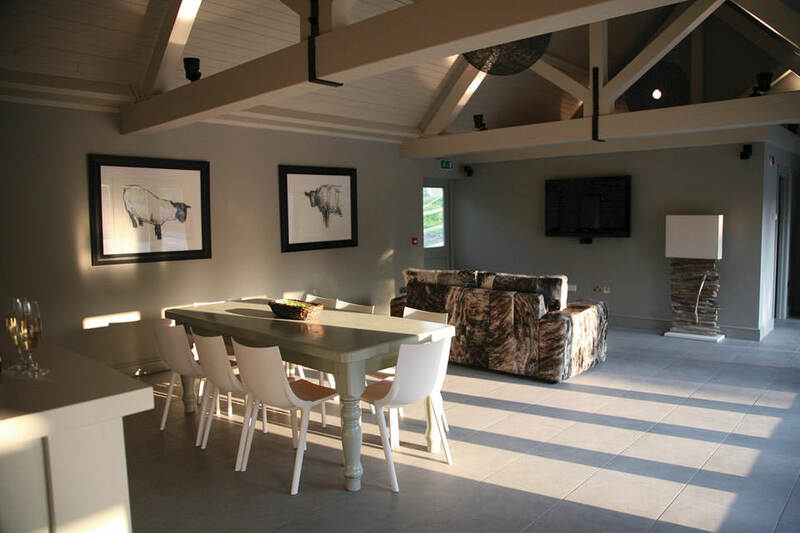 The Pool House complex includes our heated outdoor swimming pool, complete with hot tub, log burning fire, dining area, showers and changing areas. The tennis court on the upper lawn is available to hotel guests and spa visitors and enjoys one of the best views in Colchester, right across the Dedham Vale. Prepare to be pampered from the moment you arrive. 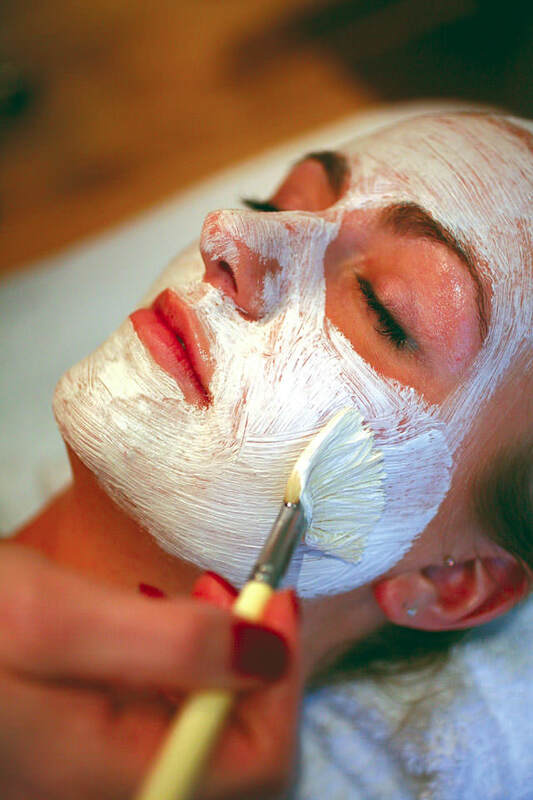 Maison Talbooth has its own in-house spa, the Treatment Rooms, which is available to hotel guests or spa visitors. The Treatment Rooms (spa) at Maison Talbooth are quiet, relaxed, discreet and ideal for individual midweek treatments or a visit with friends at the weekend. Maison Talbooth is located along the leafy Stratford Road of Colchester and parking is easy on the gravel drive. If you arrive in good time, you can kick back in the lounge and flick through any number of magazines or the daily papers – enjoying a refreshing drink, snack or perhaps a glass of champagne. You’ll be welcomed on arrival by our reception team who will introduce you to your therapist before heading to the first-floor treatment rooms. We have three treatment rooms, two of which are twinned in case you’re visiting with a friend or partner. Dermalogica is the main brand of products we use, along with Jessica Nails for those all-important manicures and pedicures. 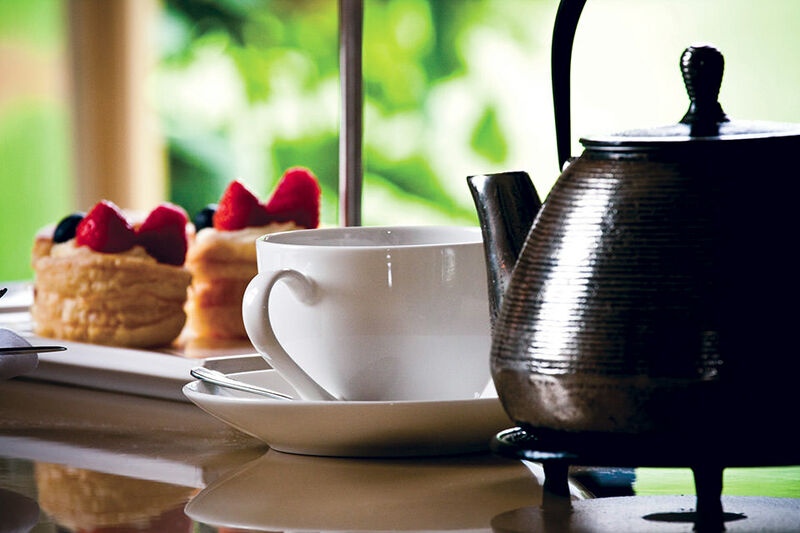 Afternoon Tea – the way it should be! The perfect way to while away an afternoon. 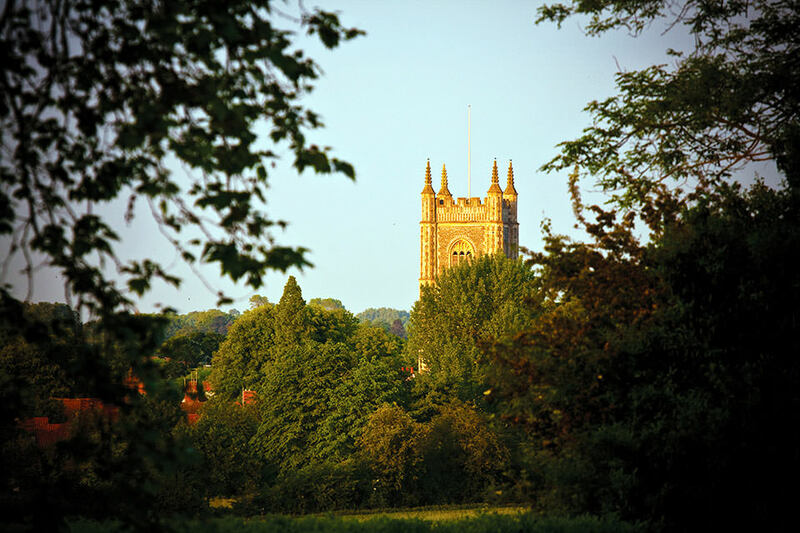 Enjoy with friends and family, perhaps with a glass or two of Champagne, gaze out across the lawn towards St. Mary’s Church and the Dedham Vale whilst enjoying the freshly made sandwiches, scones and cakes. Served every day from 2pm to 6pm. Only £23.95 per person, or £34.45 with Champagne. 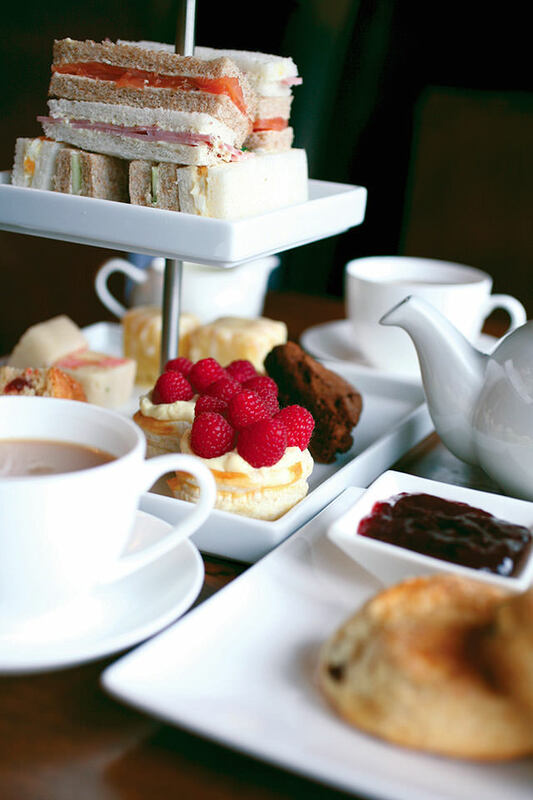 Book an afternoon tea today on 01206 322367. The Pool House at Essex’s Maison Talbooth is a sun trap which makes it feel much warmer within the safe walled complex than the actual temperature. All our hotel guests have full use of the swimming pool, hot tub, pool area, tennis court and pool house, complete with honesty bar and large screen TV with Sky HD. An idyllic setting to help create a day you’ll treasure forever. 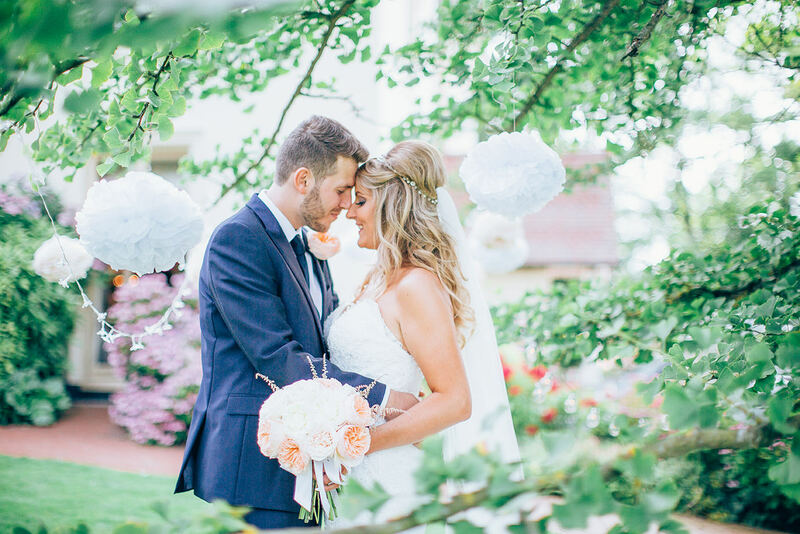 Located in the heart of Constable Country, Maison Talbooth provides a beautiful setting and wonderful Essex wedding venue for your special day. Holding a civil wedding licence for a maximum of 50 guests, the hotel can also be taken over for an exclusive House Party, allowing you to relax and enjoy your wedding day. The bride and groom will deservedly be the centre of attention, but thanks to our in-house spa, outdoor heated swimming pool, hot tub and tennis court, your guests will be sure of an unforgettable experience too. For more information about weddings at Maison Talbooth, visit our dedicated weddings website. Join us in Essex at Maison Talbooth with a group of friends for your hen party and our all-inclusive packages will ensure you have a break you never forget at this perfect party venue! All inclusive prices start from just £300 per person and can be taken from Sunday to Thursday. A house party at Maison Talbooth gives you exclusive use of the entire hotel, all bedrooms, the pool house, gardens and grounds. 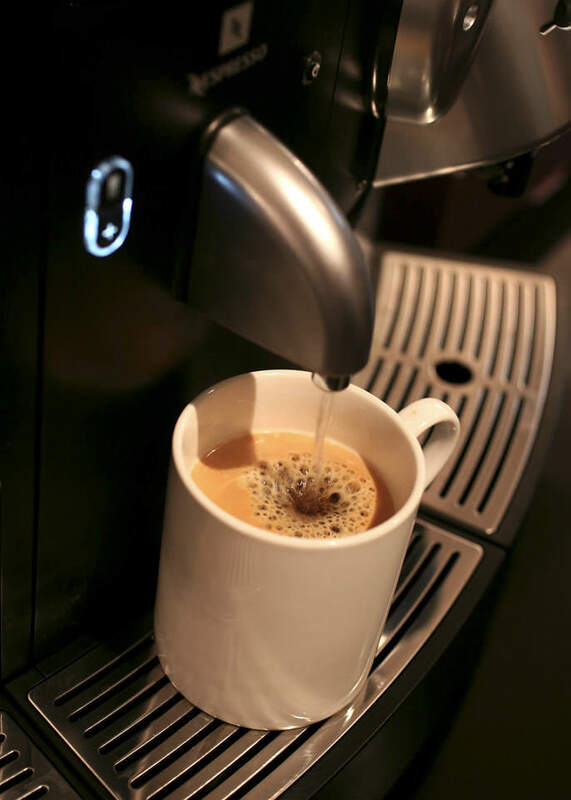 Whether it’s one, two or more nights, our entire staff and facilities will be dedicated to you and your guests. Maison Talbooth is a relaxing country house hotel with Spa, heated outdoor pool for winter swimming, tennis court, outdoor hot tub and pool house with open fire – the perfect Essex party venue. If you’re looking for an inspiring meeting venue in Colchester then the Garden Room at Maison Talbooth could be just what you’re after. Light and airy with a high vaulted roof and huge windows, the Garden Room enjoys far-reaching views across the Dedham – you really are in the heart of Constable Country. Your guests will not lack for inspiration as you get to down to business in such a wonderful setting. The Garden Room can cater for up to 24 people and has a range of equipment perfect for meetings, including plasma screen, Bose sound system, flip chart, wifi, parking, refreshments and stationery. With so much to see and do in Essex, it can be hard to know where to start. That’s why we’ve put together a list of attractions, things to do and highlighted some of our favourite events to help you decide where to visit during your stay. Whether you’re staying in Dedham or Harwich, you’ll find Milsom Hotels a great base from which to discover the delights of East Anglia. Gerald led a small group of hoteliers in the formation of the consortium, which allowed industry experts to come together, share their ideas and experience and combine their resources to improve their marketing offerings and ensure guests enjoy the very best hotel stays. Pride of Britain Hotels is more than just a marketing organisation though, it also gives a brand stamp of quality that helps members stand out in the luxury end of the competitive hospitality industry. 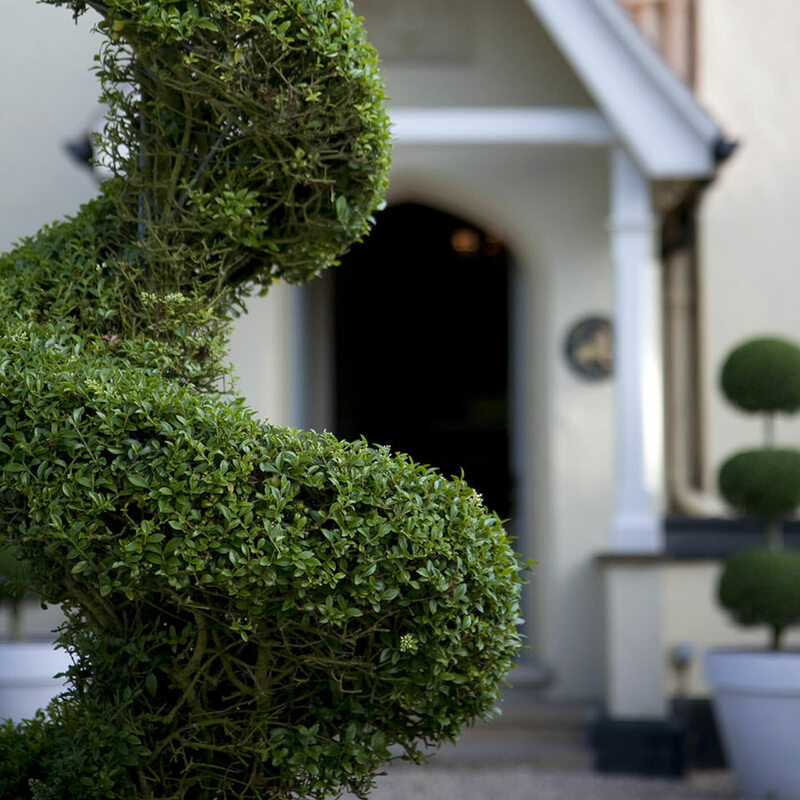 Pride of Britain’s strapline is ‘The Art of Great Hospitality’ and you can be assured that’s exactly what you’ll experience when staying at Maison Talbooth. 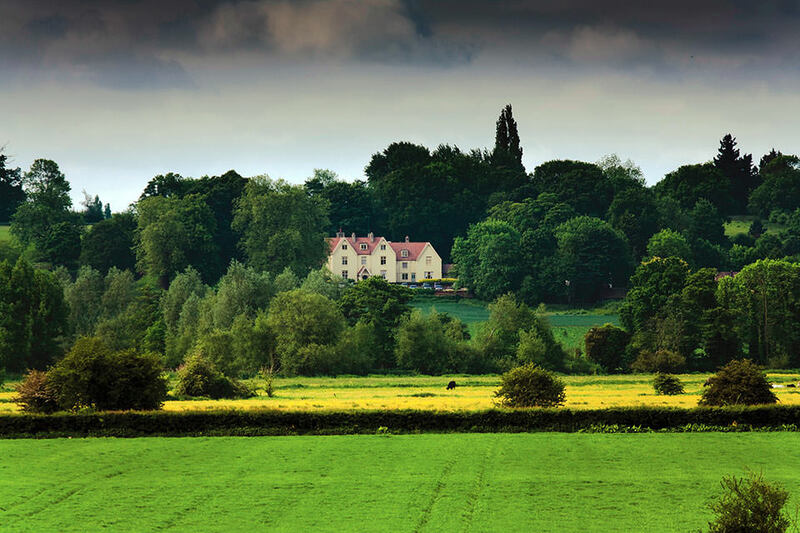 Maison Talbooth enjoys a fantastic location overlooking Dedham Vale. Located in the beautiful Essex countryside, just outside Colchester, this luxury Dedham hotel is less than 5 miles from Manningtree train station. If travelling from London, turn off the M25 at Brentwood onto A12. Continue on A12 towards Ipswich, bypassing Colchester. Take the left exit signposted “Stratford St Mary, Dedham and Higham.” For Maison Talbooth, turn right at the bottom of the hill to Dedham, over the bridge and the hotel is approx 300yds along on the right. Leave Ipswich on the A12 and when you pass the sign to East Bergholt, continue down hill and take left exit to Stratford St Mary and Dedham. Then take the next right turn to Stratford St Mary. For Maison Talbooth, continue past Le Talbooth Restaurant, take the next left to Dedham, over the bridge and Maison Talbooth is approx. 300yds on the right. If travelling from Colchester High Street, continue onto East Hill and over the mini roundabout to East Street before turning left at the next mini roundabout onto Ipswich Road. At the next roundabout, take the first exit, then the second exit onto the A1232, signposted Harwich A120. Continue along this road until merging onto the A12, signposted Ipswich. After 2.5 miles, branch left then merge onto Ipswich Road. In half a mile, bear right onto Gun Hill. At the bottom of the hill turn right to Dedham, over the bridge and the hotel is approx 300yds along on the right. Fantastic views and exceptional service in a tranquil setting. Stay during April or May and enjoy a three-course dinner at Le Talbooth, overnight accommodation with full breakfast, 30-minute spa treatment and a bottle of Champagne Taittinger in your room on arrival. From £185 per person.